Since its inception in the nineteenth century, Braille—a system of tactile letters, numbers, and symbols—has enabled blind people to read text as well as music. Indeed, the history of blind literacy is inextricably linked to the history of blind music-making. Louis Braille, a blind teacher and professional organist, invented his system in Paris, where it gained broad acceptance in the early 1850s. Keenly aware of the latest pedagogical developments in Europe, American educators soon took note. On a research trip to Paris, an administrator from the Missouri School for the Blind enthused about Braille, urging his colleagues to bring the system to the United States. When Braille debuted in Missouri in the late 1850s, it caused a rift among administrators, teachers, and students. Some sighted teachers complained they could not read the system’s raised six-dot cells, while others, led by head music teacher Henry Robyn, championed the benefits of Braille, which could be adapted not only for music, but for nearly all subjects of study. Braille spread quickly among blind students, paving the way for its eventual acceptance nationwide. This presentation focuses attention on two music teachers who played a crucial role in fomenting support for Braille in the United States: Robyn and Francis Campbell, music teacher at the Perkins School for the Blind in Boston. Attending to the cultural history of blind literacy, I nuance a growing body of music scholarship on Braille, which has primarily explored the system’s use in present-day music classrooms. Michael Accinno is a Chancellor’s Postdoctoral Fellow in the Department of Music at the University of California, Riverside, where he works under the mentorship of Professor Walter Clark. He earned his Ph.D. in musicology at the University of California, Davis in 2016, under the supervision of Carol A. Hess. His book project, Gestures of Inclusion: Blindness, Music, and Pedagogy in the Nineteenth Century, examines the role of musical training at schools for the blind in New York City, Boston, and London, documenting how educators founded institutions, exchanged teaching materials across the Atlantic, and valorized music as a preferred career path for blind students. Accinno has presented papers at national meetings of the American Musicological Society, the Society for American Music, and the Society for Disability Studies. His research has been published in the Oxford Handbook of Music and Disability Studies (2016), and a forthcoming article will appear in a special issue of the Journal of Interdisciplinary Voice Studies. In 2018, he was invited to participate in “Global Histories of Disability,” an NEH Summer Institute hosted by Gallaudet University in Washington, D.C. 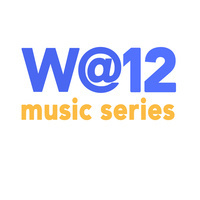 The Wednesday@Noon Series offers concerts, lectures, and presentations of academic research by Department of Music faculty, postdoctoral researchers, students, and international guest artists and scholars. Ian Dicke, coordinator.